Pappy Van Winkle for $5? Chevy Chase Inn owner Kevin Heathcoat was sitting at the bar last month sipping fine Kentucky bourbon when a delivery driver arrived with the state’s most coveted label: Pappy Van Winkle. The wheated bourbon with a cult-like following commands anywhere from $40 to $150 a pour when it’s released this time of year. Heathcoat said he has sold Pappy at a premium in the past. 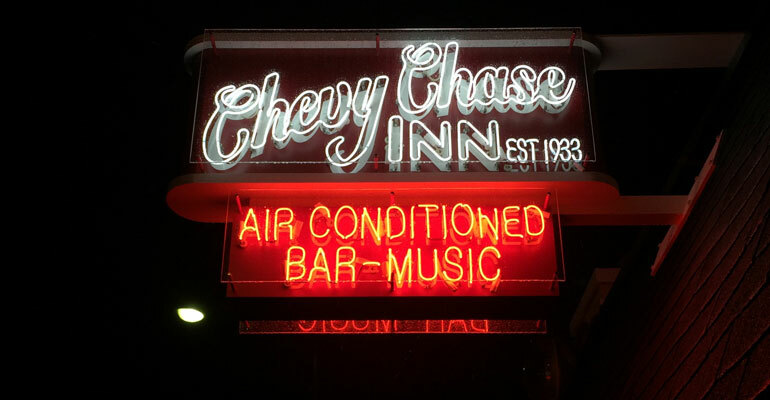 He and his Chevy Chase Inn business partners agreed to end the sticker shock with a “Pappy Thanksgiving” event on Sunday. 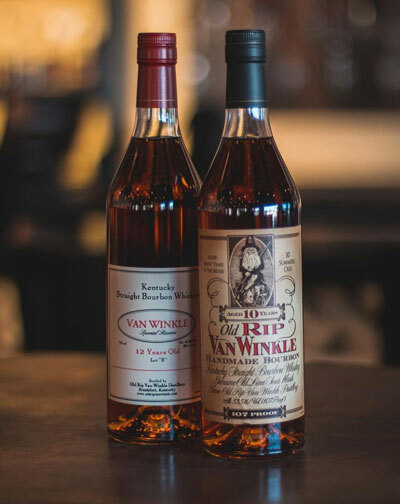 The 85-year-old Lexington, Ky., bar will feature tastings from four different Pappy labels. Each 1.5-ounce pour ranges from $5 to $14.25. The latter is reserved for the 20-year aged Pappy Van Winkle, which anywhere else in the country can cost up to $150 for the same pour. Pappy Van Winkle, produced by Buffalo Trace Distillery in Kentucky, is considered to be one of America’s finest bourbons. As it has grown in popularity, the prices have become “out of control” over the years, Heathcoat said. “We feel that bourbon this special should be enjoyed, not looked at,” Heathcoat said. He estimates he’ll have enough pours for 75 bourbon-thirsty fans with the stock he has available. Heathcoat will be handing out wristbands starting at 2 p.m. local time. The pours begin at 4:30 p.m. Since announcing the Pappy Thanksgiving event on the bar’s social media pages, word has spread quickly. People from Cincinnati, Indianapolis and Knoxville, Tenn. have told him they plan to make the trek to his bar. Some plan to camp overnight on Saturday. He even had an American Express concierge representative ask if a client could fly down to buy bottles at cost. Even if he had multiple bottles to sell, Heathcoat said he has no plans to sell to the highest bidder. He said he’s seen Pappy bottles in Kentucky that normally retail for under $200 re-sell for as much as $2,000. “Pappy is actually one of the most reasonably priced ultra-premium bourbons when it leaves the warehouse,” he said. “Our industry and the secondary market is ruining it for working class bourbon lovers everywhere." And, it’s not just Kentucky bars inflating the prices. Gastropubs, bars and nightclubs around the U.S. typically start receiving their bottles in November and December including Eureka! restaurants, Haven Gastropub, Wild Goose Tavern, Stag Bar and The Country Club, all based in Southern California. 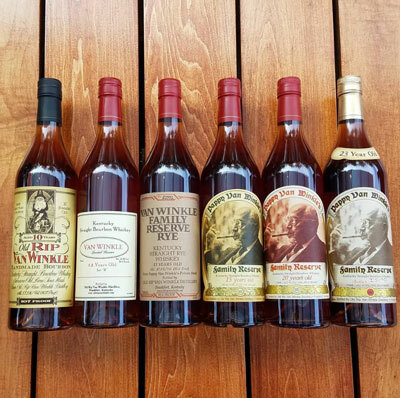 Hi-Time Wine Cellars, a specialty liquor retail store in Costa Mesa, Calif., is selling a 2013 and 2014 Pappy Van Winkle (750ml) for $1,899.99, according to its website. The craft liquor store is also selling a bottle of 15-year barrel aged Old Rip Van Winkle, a premium offering from Buffalo Trace using the same recipe, for $1,299.99. Eureka, a 24-unit casual dining chain based in Hawthorne, Calif., sells American-made foods, beer and spirits. Beverage director Trevor Tyler said the company is getting about 125 bottles of various Pappy labels next month. He said select restaurants will sell 2-ounce pours for $40, $50, $75, $95, or $125, depending on the age of the bourbon. “The product is first come first serve and we sell it until we run out,” Tyler said. 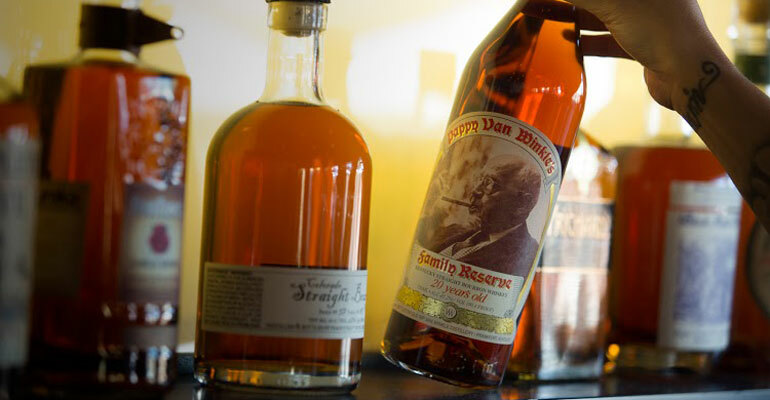 Multi-unit bar and restaurant owner Mario Marovic said three of his 10 Southern California establishments will be selling Pappy for $40 to $150 for a 1.5-ounce pour. Wild Goose Tavern, Stag Bar and The Country Club will also sell half-ounces so “curious” bourbon lovers can pay less for a small sip, he said. Marovic said he buys Pappy bottles for $70 to $200 per bottle from his distributor. So why the heavy markup per pour? He said supply and demand play a factor. Not every bar in America sells Pappy, so low supply for a high-demand product draws a premium price. “The general market dictates the price. It’s not the store or the bar. It’s customer demand,” Marovic said. He said he also factors in the yearly costs he invests in buying liquor from Sazerac Company, the parent of Pappy Van Winkle maker Buffalo Trace Distillery. He said the company bases their allotment of Pappy based on how much bars invest in Sazerac’s other spirits. When you factor that in, Marovic believes he’s really investing about $1,000 per bottle of Pappy. Heathcoat said he too makes a point to buy from Sazerac to ensure he gets his yearly Pappy delivery. When asked about this alleged policy, a spokeswoman for the Frankfort, Ky., distillery said the privately held company does not release its distribution numbers. Marovic said Pappy Van Winkle is worth the investment. “If you haven’t had it, it’s life changing,” he said.